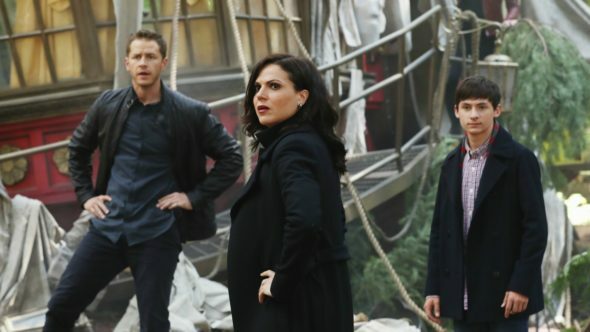 What’s in store for the new season of Once Upon a Time? Recently, executive producers Adam Horowitz and Edward Kitsis spoke with Entertainment Weekly about season seven of the ABC TV show. The upcoming season will see the fantasy drama reboot itself with new characters and a new storyline that centers on an adult Henry (Andrew J. West). The cast also includes Dania Ramirez, Adelaide Kane, Mekia Cox, and Rose Reynolds in addition to returning stars Lana Parrilla, Robert Carlyle, and Colin O’Donoghue. The new season of Once Upon a Time premieres on ABC on October 6th at 8 p.m. ET/PT. What do you think? Do you watch Once Upon a Time? Are you looking forward to season seven? Once Upon a Time: Season Seven; When Will the ABC TV Show Return? Once Upon a Time: Season Seven; Will You Watch Without Jennifer Morrison? Once Upon a Time: Will Belle Be Seen in Season Six? Once Upon a Time: How Should the Tale End? Reading about all of the changes brings back a line that recurs throughout the Star Wars universe. That line is, “I have a baaaaad feeling about this.” As for myself, I am happy with the ending that season 6 gave its viewers… and I thought that ending was about 3 seasons too late. This viewer most certainly will not be back to watch the show struggle to a meandering and embarrassing cancellation. It should have been given a (somewhat) graceful sendoff at the end of season six.